You are here: Home / Uncategorized / I was a Featured Seller on my birthday! I was a Featured Seller on my birthday! I'm so excited! Today is my birthday, and I was a featured seller on TBOTEMC Blog!!! This is what my blog post contained. Please check it out, and tell me what you think! I have a passion for life and a love for people. I adore learning about people, and all their walks of life. I have taught Kindergarten, 1st grade, 6th grade, and worked with struggling readers. My husband is an Assistant Principal, and together we have three wild and crazy boys! My favorite part of teaching is how sassy my students are! They always keep me on my toes, and always make sure I stay “ahead of the game.” It’s refreshing to stay current and make my teaching style relevant to student achievement. 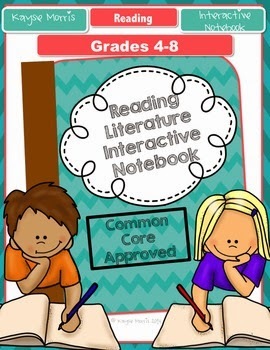 My favorite product I have created is undoubtedly My Reading Interactive Notebook for Grades 4-8. This product took me 103920201 million hours to create, and it is my pride and joy. I honestly believe the rigor and time put in for my fellow common core teachers is something that will continue to be helpful in the modern classroom for years to come! Pretend you have just started school for the first time. Do your homework. Introduce yourself to others. Make sure you are in this for the right reasons. Don’t create products just so you can pile high. I prefer quality over quantity. Be nice to everyone, even the naysayers. My favorite part of TBOTEMC is the access and availability of all members. I have easily gained new followers, felt the warmth of expert TPTers, and been able to market my products easier. I love the email list we were given! It has really helped me create relationships with veterans. Please check out my TPT store, pinterest, and blog below!